Hm sorry I forgot to update this topic. This tutorial works only in 10.8 here on my hackintosh. 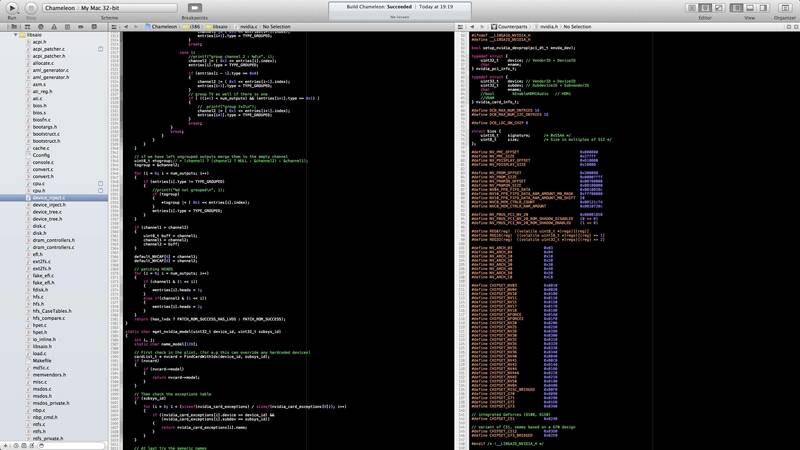 I have read that some people made it work in 10.9, but only with Intel's intergrated GPU. I am in 10.8.3, but I can't find a lot of these things... My DisplayVendorID and DisplayProductID have hexidecimal numbers instead of regular numbers like yours (0x469 and 0x2498). When I search for IODisplayPrefsKy I don't find anything. Also, I don't understand the data section under IODisplayEDID that you have, where did that come from? There's also a data section under scale-resolutions and I don't know where that comes from either. What am I doing wrong, is my computer just not compatible with this hack? If you take your time diving into this topic, I think you'd have a better understanding of the technique being discussed here. The reason, why I'm telling, that up until 10.8.4 is, because with the same override file I had 3840x2160, (1920x1080(HiDpi)). After updating to 10.8.4 I lost all resolutions. I have the same result on my macbook pro _and_ on my hackintosh. If it is true, what you are saying, it could be some Samsung problems, which is being discussed in apple-support forums too. With `ioreg` you can get everything you want. With the argument "-x" you can print the values on hex-base too. The information between <data> key is the hexadecimal value encoded in base64. You can use online converter or use plist editor from Xcode. The information between key is the hexadecimal value encoded in base64. You can use online converter or use plist editor from Xcode. As I say, it has to do with the new nvidia drivers came with 10.8.4.
how do i revert the geforce kexts and bundles back to 10.8.3 extract them from 10.8.3 combo update and overwrite? It says 'system-only'-invalid in SwitchResX. Why? having a bad time to find the correct numbers for max hidpi for my internal lcd with max res 1600x900. but lets go! Hi, I'm trying to do this on a 1920x1080 laptop display. The only hidpi resolution that shows up is half that of 1920x1080 (Not optimal to say the least) I'm trying to get a grip on how this works. I'm pretty sure I did the tutorial right but more than likely wrong resolutions added. you can't go past beyond of what your monitor natively supports. Work with any Resolutions. Tested on HD4000, work like a charm at 1920x1080 HiDPI. Only 1 limited is your display resolution. Has anybody been able to get this guide working on 10.9? 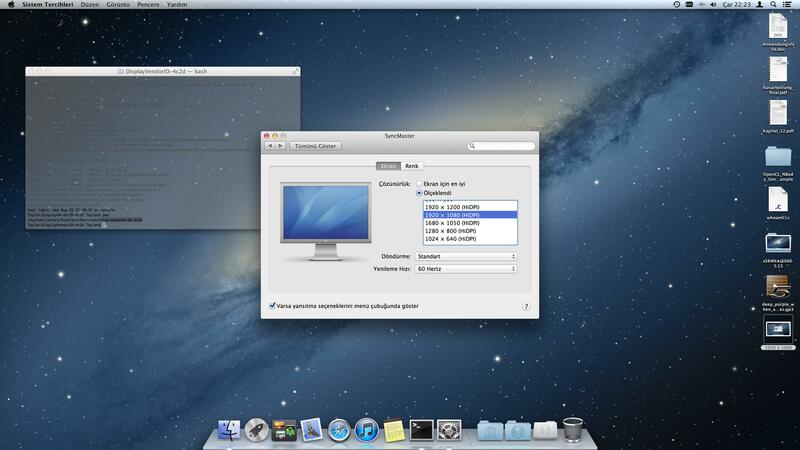 I had it working well in 10.8.5, but on 10.9, I don't see my custom resolutions in Display Preferences. I know the override is being "read" because when I added a "DisplayProductName" (? forget the exact name) key with a test string, that showed up in System Info. I've enabled HiDPI resolutions and do see one that comes up by default (without me needing to provide an override) in Preferences. SwitchResX shows my custom resolutions and I am able to select my custom HiDPI ones there. If I do that, I am at the right resolution and no resolution shows up as selected in Display Preferences. When I uninstall SwitchResX, it seems to undo the set though. Does anybody know what SwitchResX does to switch resolutions? Or why my custom resolutions don't show up in Display Preferences? Any help appreciated. I've tried with both the onboard Intel HD3000 and a GTX 660. The resolution I was attempting to reach is within the max resolution supported by both cards. And which resolution might that be? Well, all I know is, they(nvidia and nvidia team in apple) added new mechanism in nvidia drivers onwards the 10.8.4 and later (including 10.9), to check the added or overridden resolutions. I had to revert to the older nvidia drivers from 10.8.3 while I'm being on 10.8.4 and 10.8.5 and it did work. But for 10.9 I'm out of luck. The old drivers aren't even linking on the 10.9… I already tried the nvidia web drivers too. hope someone can help me with that. It stopped working for me too from the 10.8.3 through 10.9. * up to 10.10.2. They added new mechanisms to check the resolution overrides. They can't exceed, what the monitor reports as his maximum. So I managed to do a vanilla install of 10.14 on my new machine. I have 2 exact same displays hooked up to my ASUS STRIX RX470 8G. Display #1 works perfectly fine, but display #2 has a really ugly pink/ magenta tint to it. In Clover (in fact even in the first half of booting) the second display has the colors just right. The display #1 continues to work properly, #2 turns pink. Display sleep does not work. The display sleep does not work correctly. 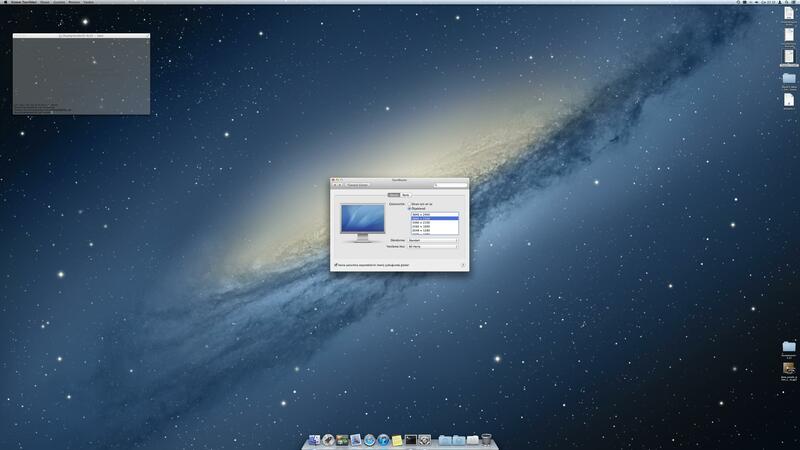 Starting with Mac 10.12.4, the display sometimes does not wake up. The backlight works, there is no image, a black screen. Currently installed 10.14.1. All the same. If the display is sent to sleep, then sometimes it can wake up in a black screen with a working backlight. From the description, it is not difficult to guess that the display sometimes wakes up correctly and sometimes wakes up in a black screen. In the course of the experiments, I also saw that the display sometimes woke up and showed the boot screen (the Apple logo and progress bar), a second after that the desktop appeared. This behavior occurs only when the display wakes up on a black screen and then I close and open the laptop cover again, after which the boot screen sometimes appears for a second, but sometimes nothing appears, the system just hangs. I hope I clearly described the symptoms of the problem. The screenshot was taken after the experiment. I sent the display to sleep, then woke it up. He woke up in a black image with burning lights. Then I closed and opened the laptop bucket, pressed the space bar and waited a few seconds. After a few seconds, the boot screen with the Apple logo appeared and then the desktop appeared. Immediately made a screenshot. I managed to boot into Mac OS Sierra with my Intel Core 2 Duo, Nvidia 9400 GT and 4 GB of Ram machine, got internet and sound working, but the issue appears when I boot with Nvidia Web Driver. I get these acid colours, but Graphics Acceleration is working fine. I tried to inject EDID from my display, but no results as well. Would be really grateful if someone could provide some help. Thank you!